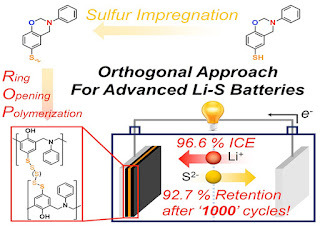 An Orthogonal Approach to Sulfur Cathodes!!! 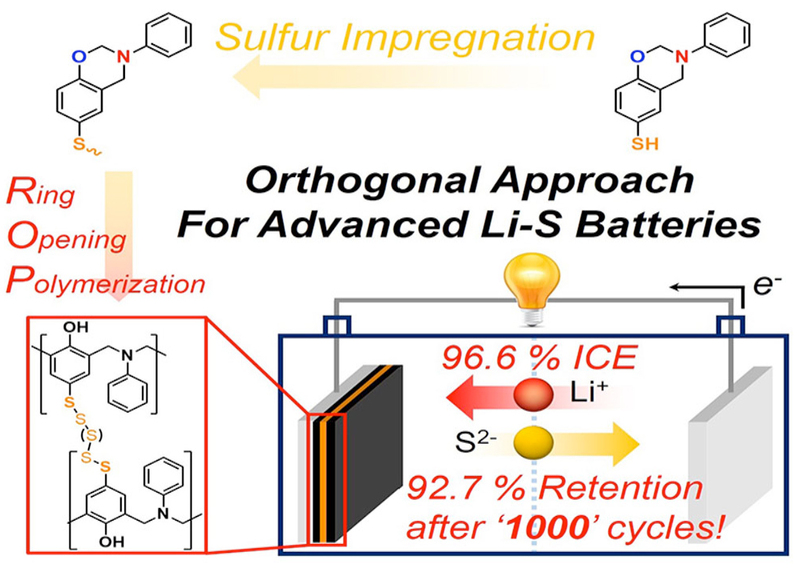 Our collaborative work entitled "A Rational Sulfur Cathode Design for Lithium-Sulfur Batteries: Sulfur-embedded Benzoxazine Polymers" is just accepted for publication in ACS Energy Letters. Congratulations SH and TH for this excellent piece of work and also special thanks to our fantastic collaborator Prof. Jang Wook Choi.